What does a Sunday morning mean to you? For many, it’s the most relaxing day of the week with a long lie, and a gradual start to the day. Unless you’re Andrea Mitchell, our Sales Advisor at Tornagrain, our new development located half way between Nairn and Inverness. 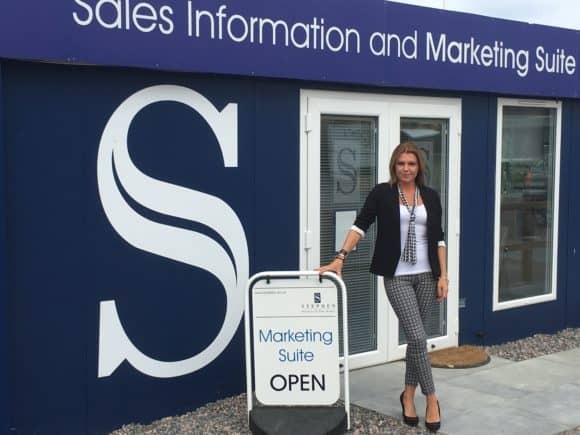 Having recently been given a new release of homes to sell, a mix of three and four bedroom detached homes and bungalows, Andrea sent an e-blast to those who had expressed an interest in the site last Saturday night. What she didn’t expect was a queue of 15 people waiting for her at 10.50am the next morning. What’s more, by the end of the day, visitor numbers had peaked at 80 with nine advance reservations secured. Andrea’s success was confirmed as a ‘first’ for the company by Marketing Manager Tom Buchanan. With a variety of properties under construction, Perth-based housebuilders Stephen are creating homes for a range of budgets, designed to meet the ever-changing requirements of life – whether you’re a career-driven couple, a growing family, first-time buyer or downsizing. As part of the homes on offer, Stephen have recently opened the doors to six new, two bedroom ‘Beauly’ apartments, available from £141,500. These contemporary homes enjoy a central location on Tornagrain’s Hillhead Road. Featuring an open plan lounge and kitchen, two double bedrooms, bathroom and good storage space, these properties also benefit from allocated car parking. One bed apartments will also be available shortly. What’s more, these apartments will be eligible for the Scottish Government’s ‘Help to Buy (Scotland)’ initiative, where you could be putting down a deposit of as little as 5% of the selling price, combined with a mortgage of up to 80% of the value of the property. The remaining 15% is the Scottish Government’s equity contribution, subject to meeting certain criteria. 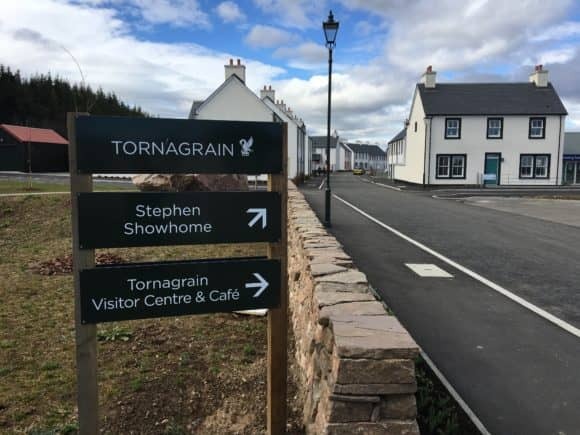 However, there is much more to Tornagrain than apartment living, as you can see when you visit the ‘Dunvegan’, Stephen’s stunning showhome. With its interiors perfectly complementing its rural location, this three bedroom home would appeal to growing families, or couples seeking more space. Incorporating an open-plan kitchen, dining and family room, these homes are centred around modern living, with a comfortable lounge and well-proportioned bedrooms with a master en-suite. There is also a large family bathroom with bath and separate shower cubicle. Outside, the property won’t disappoint with an enclosed walled rear garden featuring a tranquil seating area and sensitively landscaped layout. To complement the apartments, two bedroom ‘Etive’ homes are also now available for advance reservation, starting from just £163,000, alongside three bedroom ‘Tarbert’ homes, available from £200,000. Stephen will also be releasing a stunning collection of three and four bedroom detached homes shortly – please contact the Sales office to secure a place on the mailing list. The ‘Dunvegan’ showhome is open from 11am until 5pm, Thursday to Monday. For more information, please telephone Tornagrain sales advisor Andrea Mitchell on 07808 773135, email sales@stephen.co.uk or visit www.stephen.co.uk.